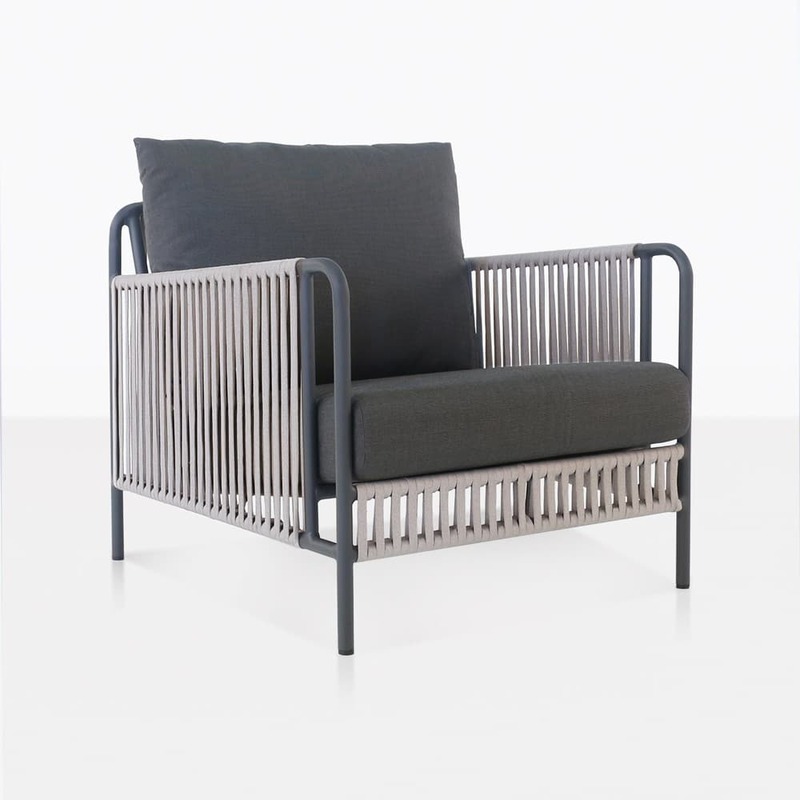 Add elegance and texture to your outdoor living space with the incredible Fontana Rope Furniture Collection. The style, design and craftsmanship is outstanding. This Collection features a large club chair and sofa. Together these pieces will create an inviting and comfortable outdoor patio area for relaxing and socializing. The Fontana Collection is expertly made with a powder-coated steel frame and engineered rope which is wrapped around the frame making these pieces stunning from all sides. The frame design of the Fontana Collection is perfectly angled to make a very comfortable seat so that you can sit back and relax. You can see this fantastic detail through the cords of the rope. The way that the rope is woven over the frame creates a beautiful pattern that is contemporary and unique. 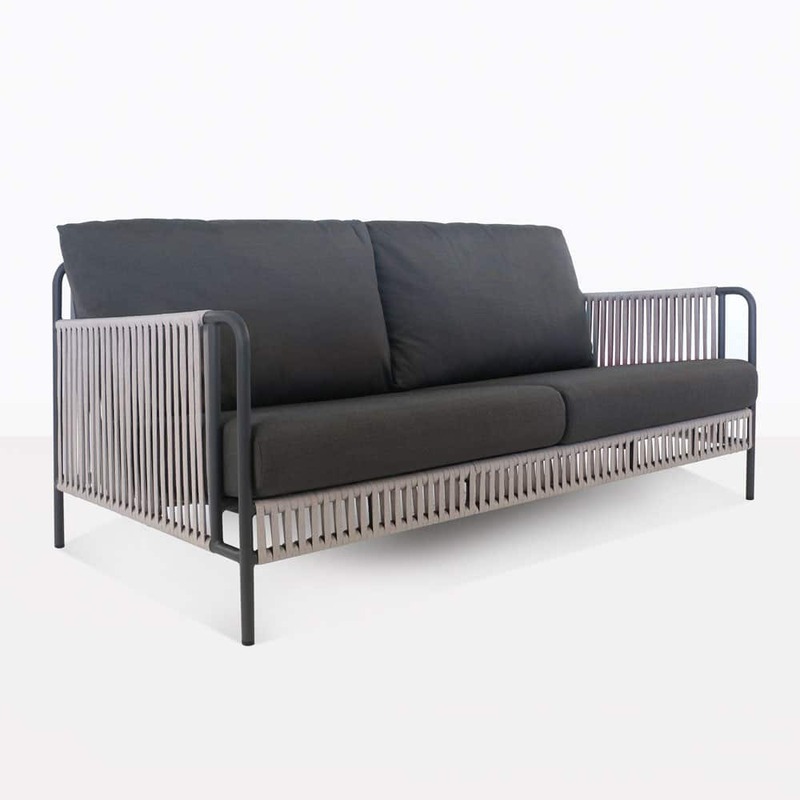 The frame is made with powder coated steel and this is topped with thick Sunbrella® cushions. The Fontana Collection will make an elegant addition to your garden, deck or patio. Call us today to order your set!